The face of Delhi’s fifth estate. Is there a more pleasurable morning ritual than the ceremony of unveiling a crisp, unread newspaper? 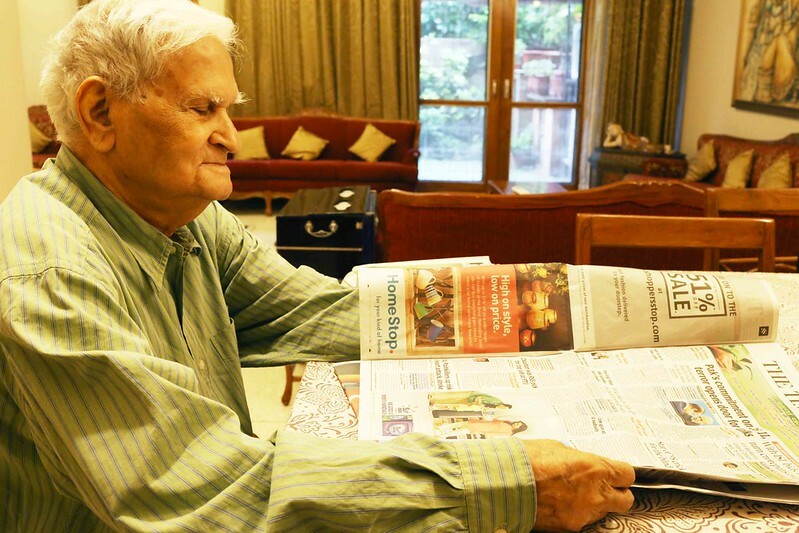 Bhim Sen Puri’s daily beat always starts with The Hindu, Mail Today, The Times of India, and Hindustan Times—in that sequence. 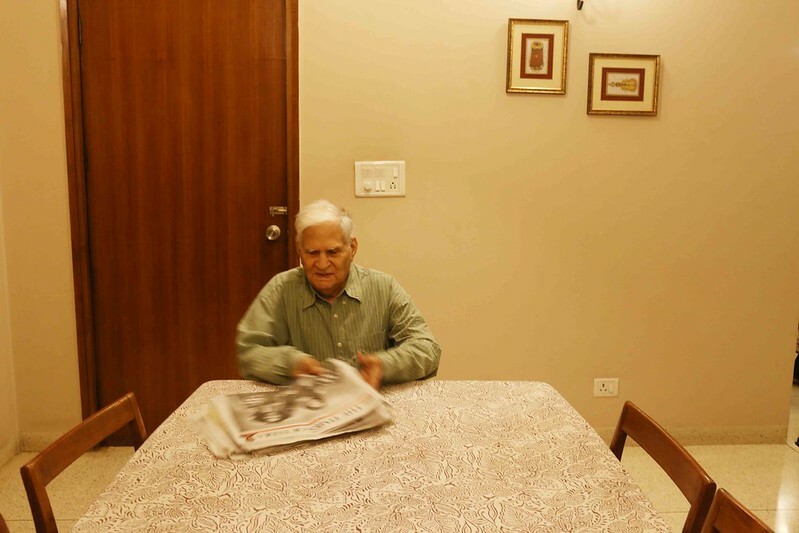 In his 90s, Bhim Sen is the masthead of the Central News Agency (CNA). The legendary Connaught Place landmark has been supplying newspapers from across the globe long before the time when we all learned to download The New York Times or The Guardian app. 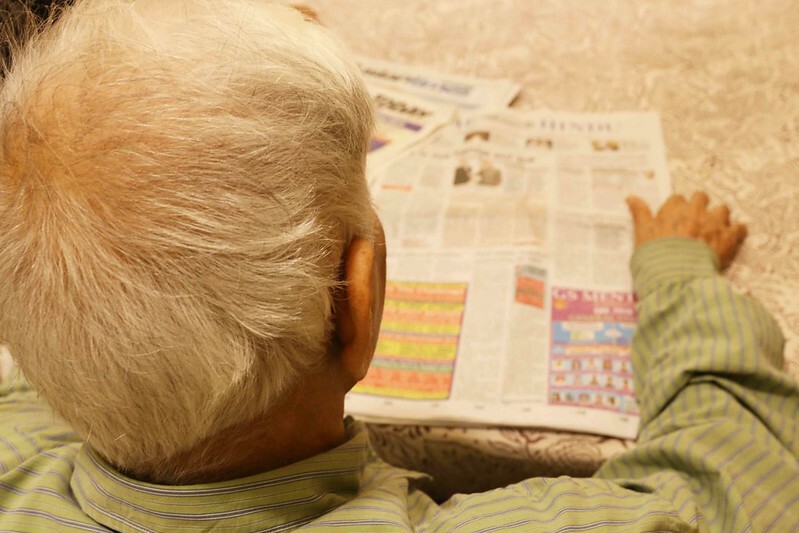 Today, a distributor of all kinds of print media, including newspapers, magazines, journals and books, Bhim Sen’s CNA has expanded to Mumbai and Chennai. 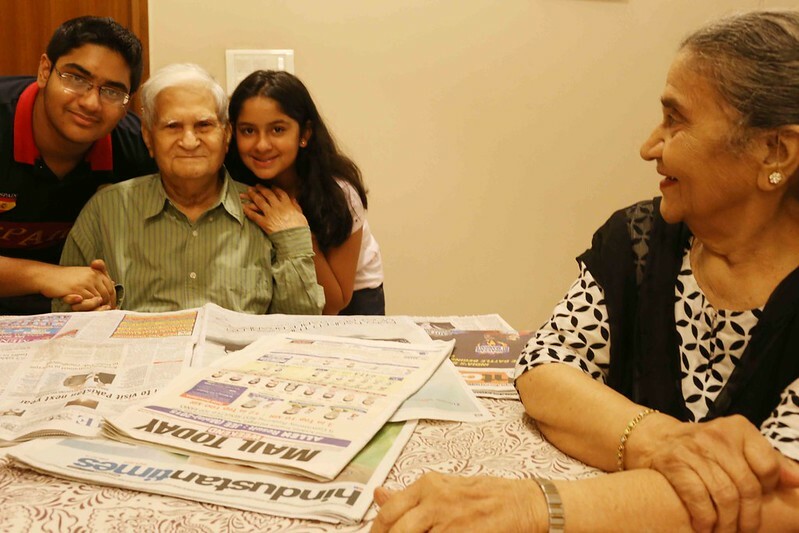 Rewind to the 1930s when his brother Rajinder Pal set up a small newspaper distribution business—with financial backing from eldest brother, Balak Ram. Rajinder worked in Simla in the summer and Delhi in the winter—this made sense since the bureaucracy of the British-India government annually shifted base between these two cities to escape the seasons’ extremities. A contract for a big order from the Press Information Bureau in 1939 helped to swell the business. In 1942, the police arrested Rajinder for his involvement in the Quit India Movement forcing Bhim Sen to take over the reins. 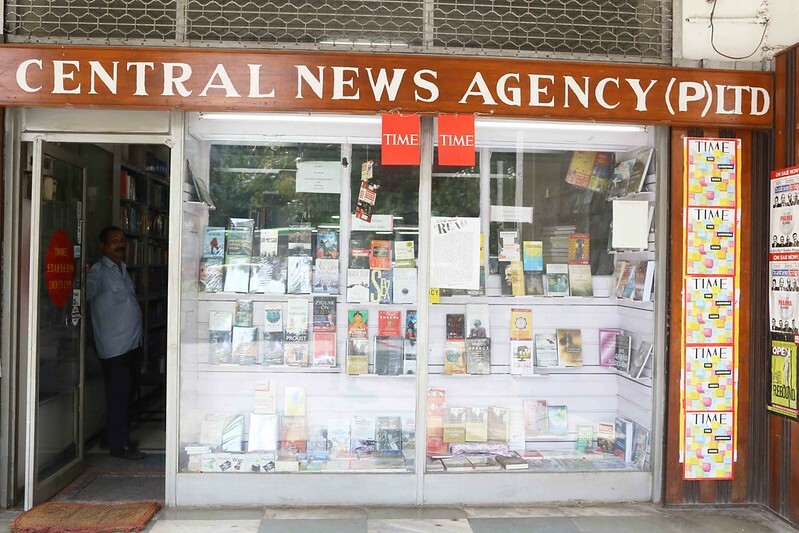 The next half a century was spent building up the CNA into a Delhi institution. In the 1980s, the then Prime Minister’s son Rajiv Gandhi would routinely visit the agency’s retail counter at Connaught Place’s P Block to procure hard-to-get foreign photography magazines. Teji Bachchan, mother of Bollywood superstar Amitabh Bachchan, used to travel daily in an auto rickshaw from Gulmohar Park to pick up her newspapers. 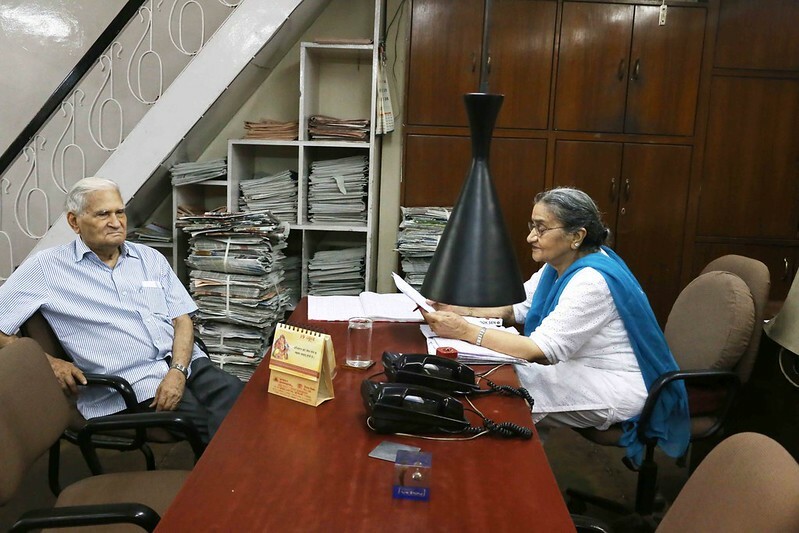 Before he became the Prime Minister, Manmohan Singh came regularly to get his copy of The Guardian Weekly. Bhim Sen was born in a small landowning family in Garhdiwala, a village in Hoshiarpur, Punjab, to Bhola Nath and his wife Durga Devi. The second youngest among five siblings, he was just six when his father died in debt following a brief illness—Bhim Sen remembers nothing of the father except for a hazy memory of his elder brother being carried on the father’s shoulders. The tragedy forced the children’s grandfather to return from his spiritual pursuit to take care of the orphaned family. The reduced finances forced a part of the family to move to Simla to seek employment. After finishing his education in the hill town, Bhim Sen headed to Delhi. Graduating in Science from St Stephen’s College, he started work as a clerk in the government. The incarceration of Rajinder saw him leaving the government job to join the newspaper distribution business. Bhim Sen also took the responsibility for his brother’s children. But after being advised that he would be left alone in his later years, he—at the not so young 43—married in 1966. Bhim Sen’s wife, Santosh, was the first woman in her hometown, Jammu, to drive a Lambretta scooter. With a Masters in Economics from Delhi University, Masters in Hindi from Punjab University and a Bachelors in Education from Kashmir University, she was already the principal of a higher secondary school when they met. Both Bhim Sen and his wife together managed the company, along with the rest of the extended family. In the years following independence when Nehru’s India followed a socialist model, the Puris developed business ties with the Soviet Union, regularly visiting cities as far apart as Moscow and Vladivostok to renew subscription of Soviet magazines such as Misha and Soviet Nari. These days they may have shortened their work week, but you will still find them seated at their respective desks in Connaught Place by half past nine. I stopped being a regular reader of print newspapers a couple of years ago. Most newspapers are rapidly turning into advertisement sheets. Their silly tabs, leaflets and fold-out pages annoy the hell out of me. I crave news at the beginning of an average workday; what I get instead is page upon page of ads with light-skinned people selling shiny cars, real estate, jewellery and clothing. But, Naushirvan, there’s always the super-fat The New York Times, na? Yes, but I prefer getting my news fresh off the internet. I adore print books though. I remember Central News Agency from my childhood.During early fifties my parents used to get ‘Hindustan” daily published from Bombay home delivered in Karol Bagh by 4 PM.A remarkable news psaper agency which served Delhities for many decades.